In Holy Redeemer Parish we encourage and welcome active participation from all parishioners. This is your parish, you belong here and your role is significant to its life and survival. We encourage all, young and old to actively participate in the liturgies and upkeep of the Church. Yours are the eyes through which he looks with compassion on this world. 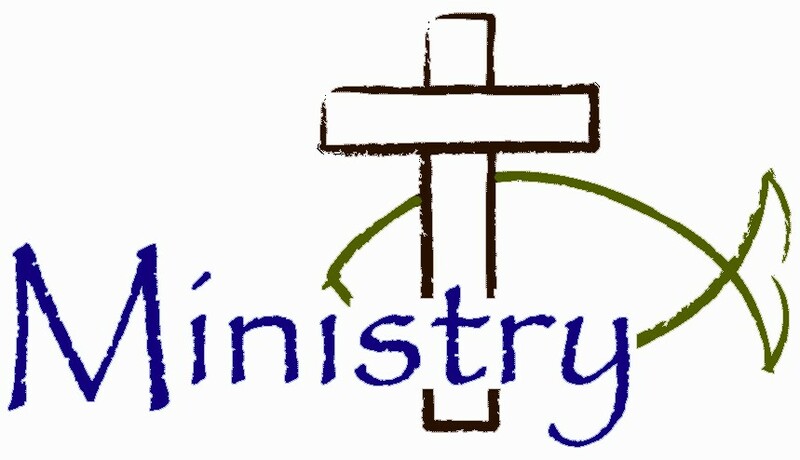 You can take part in any number of ministries which we have. Become more involved by saying yes and signing up for at least one ministry. You have many gifts and talents which God has given to you, so don't be shy and share them with your parish. Like colours of the rainbow each Ministry adds light, life and beauty to our Church. We provide training and information for all ministries, so don't think you won't know what to do as we will help you along the way. It's great to be part of a team and ministry is an excellent way to participate as a member of a team and provide and an essential service to your faith community. Remember we are all called to serve not to be served. Each ministry has its own unique gifts and characteristics; each ministry challenges us in a different way. It's not easy for some people to be in the public eye but the challenge brings with it its own rewards and graces. There are many ministries which you may consider joining, Eucharistic Minister, Reader, Altar Server, Altar Society, Music Ministry and Choir, Dues Collectors, Distributors, Legion of Mary to name but a few. Remember that no ministry is greater or above another, all are parts working together in harmony. Be brave and say Yes! Simply contact the parish office or any of the priests and let us do the rest. "Christ has no body but yours. No hands, no feet on earth but yours. " Safeguarding Children Policies Holy Redeemer Parish is implementing all of the guidelines in relation to Safeguarding Children, and these can be found by clicking here. The website for the Catholic Bishops has resource material for all those who might be affected by these events. Please click this address, www.catholicbishops.ie, for a link to those. Parish of the Holy Redeemer, Dundalk. Solemnity of the Ascension of the Lord. Priests of the Parish: Fr. Padriag Keenan & Fr. Patrick Rushe. communicating with each other and, energised by the Spirit of Pentecost, we will work to build a spiritual community and witness to Jesus Christ. election of a new Parish Pastoral Council must now take place. commencing on 1st September 2010. (Oakland Park) & May Grant (Cedarwood Park). Parochial House or Sacristan of our Church by Sunday 23rd May 2010. Nomination forms available in Sacristy. Mass: Mon - Sat: 10.00am. Miraculous Medal on Mon at 7.30pm. MASS TIMES: Sat: (vigil) 7.30pm. A Healing Mass in association with Family of God Community will be celebrated in the Church of the Holy Redeemer at 6.00pm. The sacrament of the Anointing will be administrated after Mass. Mon. 24th May: Mass 7.30pm. Tues. 25th May: Mass and Anointing of the Sick 7.30pm. Rosary at 7.10pm & Blessing with relic after Mass each evening. A Mass of thanksgiving will be celebrated on Friday 28th May at 11.00 am in the Church of the Holy Redeemer. Most Rev. Gerard Clifford DD. All parishioners & friends of the Parish of the Holy Redeemer & St. Brigid’s School are invited to the Mass. Sat 15th May (vigil) 7.30am.Av. Frances McCrave. Sunday 16th May 10.00am. Av. Kevin & Ciaran McKeever. 12.30pm. Av. Daniel Dawe & Mary Ellen Woolsey. Monday 17th May. 10.00am.Av. Seán McCartney. Novena. 7.30pm. Av. Dec. mem. Corcoran family. Tuesday 18th May. 10.00am. Av. Edward Galvin. Wednesday19th May. 10.00am.Av. Brigette Maguire. Thursday 20th May. 10.00am. Av. Thomas Mulligan. Friday 21st May 10.00am. Av. Mary Williams. Saturday 22nd May. 10.00am. Av. Saturday 22nd May (vigil) 7.30pm. Av. Patrick & Annie Malone & Dermot Murphy. Sunday 23rd May. 10.00am. Av. McKevitt family. 12.30pm. Av. Dec. mem McKeown family. 6.00pm. Av. Mary & Frank Donnelly & dec. family mem. Members of Viatores Christi will speak at all Masses next weekend on 22-23 May. Viatores Christi, Catholic lay missionary development workers, was founded in 1960 and recruits, prepares and facilitates the placement of lay people who wish to serve in areas of need in Africa, Asia and South America. Brendan O’Shea, St. Nicholas Ave.
Gretta McEnteggart, Fr. Murray Park. Catherine McKeown, Riverside Cr/Park Street. Armagh Diocesan Pilgrimage to Knock on Sunday 30th May. Nos: 05– 10–19–21. One Jackpot Winner. Catholic Newspapers on sale in the main porch of the Church. ‘Young People’ - ‘Walk by Faith’. Redeemer Family Resource Centre to raise funds for five members of their club who are taking part in the Special Olympics Ireland, in Limerick in June. All notices for inclusion in the Parish Bulletin should be typed or written and submitted to the Holy Redeemer Parochial Hse by 6.00pm of Tuesday each week.